"My results ALL came back as normal. My doctor was so glad to see that Eden Energy Medicine worked for me and said, “Let’s go back to monitoring your autoimmune hepatitis every three months again!” It is now several months later, and my liver is doing great! I continue to do the EEM exercises daily to support my liver. This morning I received a wonderful and very effective long distance healing treatment from Lyn Milum, EEM-CLP. Lyn is a very gifted, gentle, intuitive healer. When I called, my back and right leg pain was at a ten. Lyn used a combination of Eden Energy Medicine, the Emotion Code and Ancient Echoes to explore and transform the energetic, emotional and biographical levels of this pain. Right now, thanks to Lyn, it's down to a one or a two. I would highly recommend Lyn for long distance treatments! Thanks, Lyn! Because of you, I'm having a great day. David felt no pain in his hip after the first 48-hours, and only took pain medication once on the day he was admitted, when the ER staff insisted. During the first "chakra style" clearing over his left hip, David could feel the energy stirring and the healing energy move. In mid-July, after 5-weeks of recuperation the orthopedic surgeon said David was making a "remarkable recovery." A week later the orthopedic surgeon showed David before and after x-rays of the hip, and said, "this is a miraculous recovery." He said it twice. He took his laser pointer and outlined how the socket had regenerated perfectly, with round symmetry and right proportions. Click here to read the rest of my dad's remarkable Energy Medicine success story. Lyn has helped me tremendously with my healing challenges. Her sessions with me have been powerful and immediate; after one in particular, I remember getting off the table and crouching all the way down to the floor, when before the session, my knees were too swollen and sore to bend more than ninety degrees. Lyn has a warm, gentle soul, and her energy is peaceful and loving. She has an impressive repertoire of healing techniques and modalities. I’m so very grateful for her knowledge and friendship! 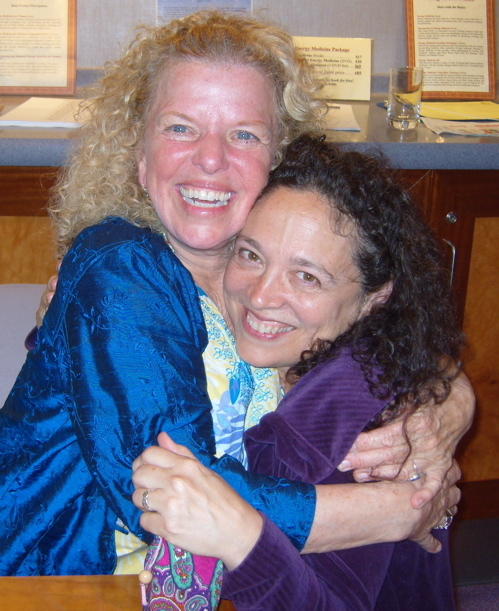 I have hosted hundreds of wonderful workshop teachers at the Lotus Yoga Center over the past 5 years, and Lyn Milum is absolutely one of the best. 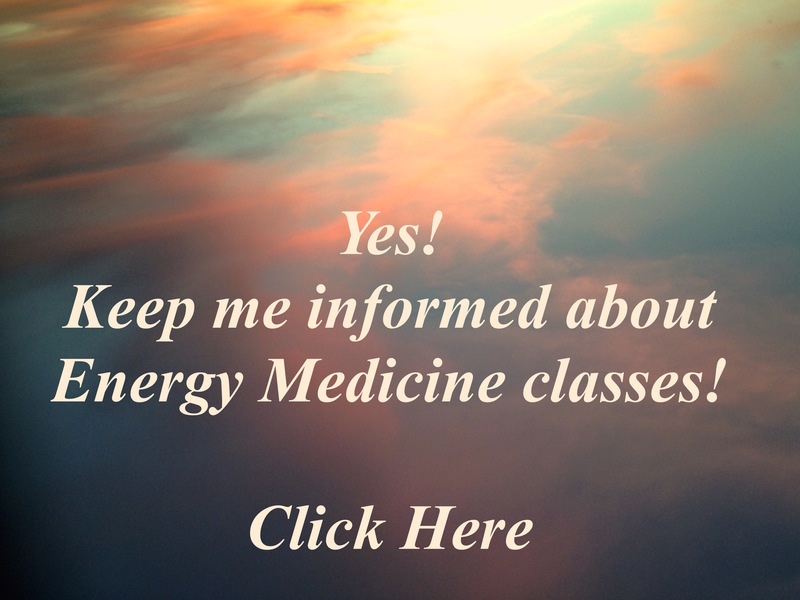 Her Energy Medicine Classes are hands-on and very effective. Many students report immediate relief from their symptoms. Muscle testing “before and after” confirms the results of the technology. Lyn has a very calm, warm, and engaging approach to teaching, which only adds to the stimulating yet relaxing ambiance of the class. I highly recommend Lyn’s Energy Medicine Classes to all! Lyn is an amazing woman and healer. I was SO PRIVILEGED to enjoy and benefit from an energy treatment today with the fabulous Lyn Milum of Energy Medicine for Life with Lyn Milum. Incredible things happened in my energy field, taking me on over the edge to healing from this long-term invasion in my foot, and even deeper in my spirit self. Came home, ate lunch, and promptly slept for four much needed hours. A new me emerged vibrant and healthy afterwards. Highly recommend seeing Lyn for your own energy work needs! Lyn goes deep when she explores the terrains of energy, joy, vitality. I love that. Perhaps what I appreciate most about Lyn as an energy practitioner is the way she blends her ability to be present in the moment in support of whatever is arising in a client session with an impressive commitment to understanding the energetic mechanics. She is an intrepid energy medicine investigator and experimenter with strong verbal and illustrative communication skills. I learn so much from my interactions with Lyn. And I always feel at ease. Thanks, Lyn, for being present and sharing your beautiful gifts. Lyn is an amazing, wise, insightful and compassionate energy medicine practitioner. I have received profound and lasting benefits in my health and general well being from working with her, and I greatly appreciate her excellent work . Lyn, you gave my body the sense of feeling truly recognized and tuned into, enveloping it in a strong sense of safety and appreciation. You are exceedingly gifted, and I wish many the privilege of being treated by you. Lyn helped me to release old, limited thought patterns around prosperity and abundance with the 'Money Matters' process, a modality based on Energy Medicine principles. Very powerful and effective work! Her life is a work of art, continually changing, expanding and filling the world with Light and beauty. It has been a pleasure to get to know Lyn as healer, artist and friend. I heartily encourage you to do the same! I was fortunate to have the privilege of receiving Lyn Milum as a teaching assistant at my Eden Energy Medicine Certification Classes. I found her to be an amazing person as well as an incredible teacher! Lyn’s broad knowledge of Energy Medicine along with her kindness and intuitive abilities make her an outstanding healer!